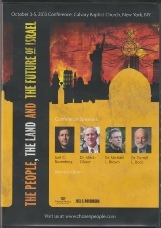 One of the greatest resource I got my hands on early in my search for the Truth is the video “A Question of Origins”. I learned a lot of basic scientific facts from it. You can watch the 60 min. Video in English on YouTube or you can watch it online in 8 languages (including Spanish) clicking on this text. It shows a bunch of scientists coming together and discussing the issues they see with Darwin’s theory of evolution. For example, Michael J. Behe, a well known Biochemist, is talking about the “Irreducible Complexity” of the flagellum and it backs up his theory with great computer animations. It also talks about and shows also with computer animations, the insides of a cell and how DNA replicates. This is a very good movie to watch to learn about cell structure and it’s inner workings. The conclusion of the video is that life could NOT have come about by “natural” means. Some of these scientists became believers in GOD and others just believe that everything came about by Intelligent Design (ID) but do not believe in the GOD of the Bible. Illustras Privileged Planet THE SEARCH FOR PURPOSE IN THE UNIVERSE is a great documentary for many reasons! Even atheists may like to watch it. It starts with an animation of the first space probes sent out into our solar system and shows some pictures that came from that project. It shows how insignificant Earth seams in the vastness of Space. Then they go into detail on what it takes for a planet to be habitable for any life to exist. I believe it is a matter of WILL, not of intellect, if a person still believes, after watching this excellent video, that Earth just happened to come about by pure chance (big bang). Expelled: No Intelligence Allowed is a movie by Ben Stein. He is investigating the claim that people have been expelled from their jobs because they allowed the idea of Intelligent Design into their job/articles. It seems that only evolution can be considered in our free country, if anyone brings up ID or Creationism, they will be ridiculed, ostracized, and or expelled. There are different links on YouTube but most are restricted and don’t play via links off my website. This video works but comes in 10 parts. 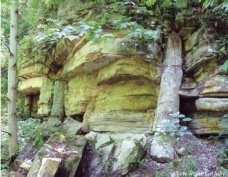 Many different phenomena in Nature are being shown and discussed. Professor of Mathematics at the University of Texas, El Paso. Dr. Sewell does have other great articles here: “What You Have to Believe to Not Believe in Intelligent Design”; "Entropy and Evolution," Bio-Complexity, 2013.; "A Mathematician's View of Evolution," Math. Intelligencer, Fall 2000; "Entropy, Evolution and Open Systems," proceedings of "Biological Information: New Perspectives," Cornell University, 2011. A study of the evidence of vestigial organs, natural selection, the fifth digit, the relevance of the stickleback, Darwin's finches and Lenski's bacteria—all under the microscope of the Scientific Method--observable evidence from the minds of experts. Prepare to have your faith shaken. A short documentary showing how this world is changing because of birth rates in the ‘western civilized society’. Very interesting compilation of interviews with Scientists from around the World and much great info presented in videos and animations!! The Cambrian explosion was one of the most spectacular events in the history of life. 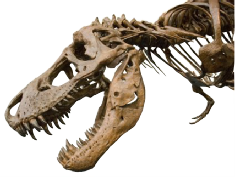 In a short window of geological time an abundance of new animals -- and new animal body designs -- arose fully formed without evidence of any evolutionary ancestors. Charles Darwin viewed this as an inexplicable mystery. He had envisioned the evolution of life through a multitude of small, undirected steps. 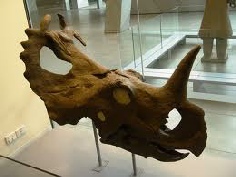 Yet, the fossil record reveals no such pattern of gradual develop­ment. Instead, early in the Cambrian period, compound eyes, articulated limbs, sophisticated sensory organs and skeletons burst into existence seemingly out of nowhere. 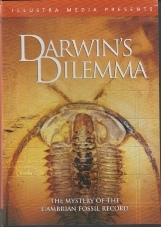 Darwin's Dilemma explores the Cambrian explosion and the scientific controversy that still surrounds it. Where are the missing transitional forms that Darwin's theory requires? Can any undirected evolutionary process explain the origin of animals? Filmed on tour continents, this fascinating documentary examines some of the most important fossil discoveries ever made and with them, a mystery deeper than Darwin ever imagined. For the Cambrian explosion of life was actually an explosion of biological information -- assembly instructions in DNA and embryonic blueprints that directed the development of the first complex animals. Information that points unmistakably to foresight, purpose and intelligent design. in 2008, Idaho legislator Curtis Bowers wrote a “letter to the editor” about the ground-shift changes in America’s culture, it became the feature story on the evening news, people protested at the capitol and for weeks the local newspapers were filled with responses. He realized then… he’d hit on something. Ask almost anyone around the world and you’ll hear, “Communism is has died! The Berlin Wall came down.” And though the word communism isn’t used anymore, this film will show the ideas behind it are alive and well. Join Bowers for a heart wrenching look at the people and groups that have successfully targeted America’s morality and freedom in their effort to grind America down. It’s not just another conspiracy theory. It’s a well documented agenda. The film features interviews with Cliff Kincaid, Dr. E. Calvin Beisner, Dr. Jim Bowers, the late Dr. Robert Chandler, Beverley Eakman, M. Stanton Evans, Dr. David Gibbs, Bryan Fischer, Jr., Brannon Howse, Congressman Steve King, Gen. Ed Meese lll, Dr. David Noebel, Hon. Howard Phillips, Janet (Folger) Porter, Sen. H.L. Richardson, Phyllis Schafly, Jim Simpson, Mike Smith Esq., John Stormer, Tim Wildmon, Wendy Wright, and Trevor Loudon. Milton Friedman on Phil Phil Donahue’s Show talking about (corporate) greed. "AGENDA is the most powerful expose of the communist, socialist, progressive attempt to take over America produced so far." -Ted Baehr, MovieGuide Filmmaker Curtis Bowers hit the road in 2010 with his film AGENDA, people began to wake up. 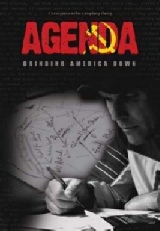 AGENDA became one of the best selling independent documentaries of all time, and grass roots America finally had a tool to connect the dots. As he continued to travel, Bowers found that people were overwhelmed by the seeming myriad of issues they were facing. From the promotion of Islam to the propaganda of climate change, from the deceit of Common Core to the manufactured economic crisis, and from the manipulation of the Evangelical Church to the unsustainable debt burden, it seemed as if America had a hundred different enemies with a hundred different agendas. But he knew from his research that wasn't the case. "The issue is never the issue. The issue is always the revolution." Join Curtis Bowers as he heads out again to expose the Masters of Deceit and their purposeful, premeditated, treasonous attacks on our freedom. Dr. Steven Austin talks about the aftermath of the eruption that happened in May 18th 1980.